The world of business runs on payments. The world of payments runs on Elavon. Elavon has been a leader in processing payments for over twenty years, leveraging the world’s best technologies for their customers, from large worldwide enterprises to locally-owned small businesses. Elavon extends powerful payment solutions for all payment types and processing environments, ensuring that your business, whatever the size, remains well connected. Elavon is consistently rated among the top 5 global payment providers, and their robust, redundant processing platform and end-to-end advantage ensures commerce for businesses around the world. Backed by the strength and stability of U.S. Bank, Elavon delivers flexible, secure and innovative solutions while providing value at every point in their customer and partner relationships. More than 1 million businesses turn to Elavon. 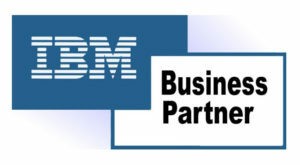 CFXWorks payment offerings have been IBM certified to the POWER 7 and POWER 8 platforms for Linux, AIX and IBM i. Our payment offerings have also been DB2 certified.